At Oak Crest, our 7th, 8th, and 9th Graders participate in our Teen Travel Program. Teen campers have access to all of the amazing Oak Crest activities and have the privilege of traveling outside of camp on many exciting day trips and overnight trips. The 7th Graders spend Mondays, Wednesdays, and Fridays in camp and Tuesdays and Thursdays out on day trips. While the 8th and 9th Graders are in camp on Tuesdays and Thursdays and travel on Mondays, Wednesdays, and Fridays. Our Teens also have the option of doing 2- or 3-day long overnight trips. 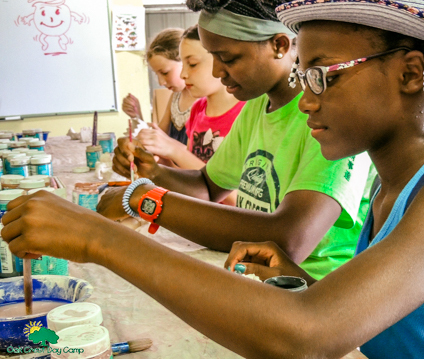 While in Camp, our Teens follow a group schedule and travel from activity to activity in groups of 10-15 campers led by our carefully screened counselors. 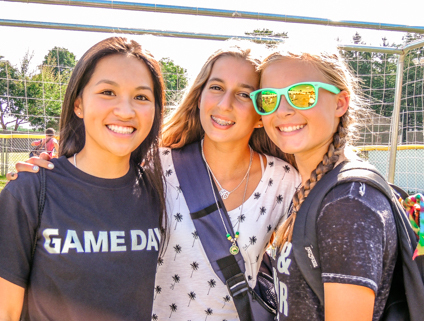 The group schedules have 2 periods of free swim, Climbing Tower and Ropes Courses, a variety of athletic and creative activities, and 2 periods of Choice. During the Choice periods, our Teens can pick the activity they would like to participate in. The Teens can select a new activity each Choice period enabling them to experience a wider variety of activities. While out of camp, our Teens follow the Oak Crest Travel Protocols for Safety. All Teen Travel campers and their parents must sign our Teen Travel Behavior Contract. Like all of our Divisions in Camp, the 7th Grade Teen Travel and the 8th & 9th Grade Teen Travel Programs each have an adult Division Head that oversees the division in camp and also travels with them on the day and overnight trips. Our Teen Staff is specially-trained to supervise our campers in public places and to manage the challenges that come with early teens.